"Your nice letter with deep regard for Guru is quite appropriate. Guru and Krishna are two parallel lines on which the spiritual express runs very smoothly. In the Caitanya Caritamrta it is said 'Guru Krsna prasade paya bhakti lata bija.' By the Grace of Guru one gets Krishna and by the Grace of Krishna one gets a bonafide Guru. 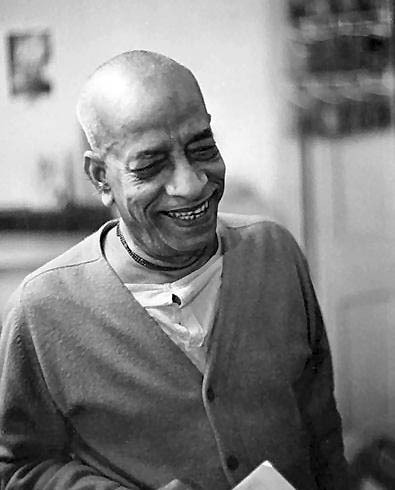 "Therefore Krishna consciousness means staunch faith both in Guru and Krishna. One minus the other is no good for the devotee. So your faith in the principles of devotion to Guru will certainly help you more and more Krishna. Do not ever try to approach Krishna directly. Anyone who talks of Krishna without service to Guru will not be successful. "So your faith in Guru and Krishna simultaneously will help you to become crowned with success in the progressive march in Krishna consciousness. Do not be worried, be situated in the present aptitude and everything will be clear."